We offer a large variety of Tents, Tables, & Chair Rentals for any event size or shape. 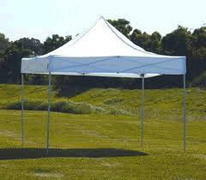 Easy to setup, these tents will provide a great place for your guests to gather in comfort. Our High Peak Tents are the perfect rental for outdoor weddings, graduation parties and other special outdoor events where a touch of elegance is required. 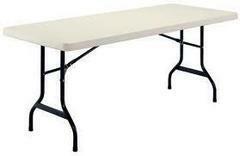 We'll bring the tables and the chairs too! Don't let those extra guest go without a seat at the table. Check out our Party Packages page if you're wanting to add all three because we have a package to fit any event size or need. We deliver, set up, and pick up after the party is over. A full day is considered 6-8 hours, and we deliver at least 1 hour before your event starts and up to 5 hours prior depending on the days schedule. We will call to confirm your tent, table, or chair rental the day before and set up a delivery time frame. Big Lou's Bouncies Team strives to make sure each event is a memorable one! 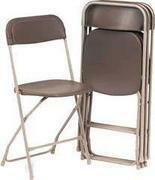 We specialize in providing a smooth tent or chair rental experience from start to finish. We carry a large range of tents or inflatables to satisfy any of our customers needs, and each table and chair unit is cleaned frequently to ensure optimal safety. Big Lou's Bouncies is also fully insured and our team is highly trained for a worry-free party rental experience. 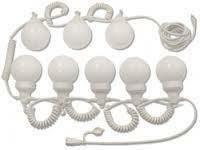 Each member of our team is fully trained, so set-up and take-down is fast, effieicnt and safe! In business since 2006, and we are proud to serve you! Big Lou's Bouncies is located in Brandon, Florida and serves the surrounding areas including: Riverview, Seffner, Gibsonton, Tampa, Valrico, Fishhawk ranch, Lithia, Plant City, Dover, Temple Terrece and many more! Some Travel fees may apply in some areas. Also, please see our Fundraisers and Corporate Events pages for large tents, tables, and chair rentals! Give us a call at 813-404-6744 or get a fast and easy quote online to get your next event started today!